Maluku or Moluccas is one of Indonesia Provinces that lay on Maluku Islands. The main city and the capital city is Ambon. Maluku is culturally and geographically associated with Melanesian. In 1999, Maluku was divided into North Maluku Province. Maluku ethnic is dominated by the Pacific Melanesian tribes, who were allied with Fiji, Tonga, and some of the islands which is spread all over the Pacific Ocean islands. Some proves are shown that Maluku has ties with the traditions of the Pacific Islands nations, such as language, folk songs, food, and household devices, and special instruments like Ukulele. Formerly, the indigenous has brown dark skin, frizzy hair, has strong bone, and has more athletic body than any other tribe in Indonesia, because they are an ethnic islands that have to be sailing and swimming, especially for their Men. Nowadays, there are lot of Maluku people have immigrated to other country like Dutch, English, United States, Russia, France, Belgium, Germany and many other continents. At first, they were moving in case of classical reason, which is the mass movement of Maluku to Europe in 1950s, others are about having study, marriage or just finding the better life. The language that being used in Maluku is mostly coming from Bahasa Melayu Ambon, which is the Malay dialect and some of local languages divide based on the local area. Bahasa Indonesia is still the mother tongue to communicate. Christianity and Islam is the most religion that being hold by the people, This is because the influence of Portuguese and Spanish colonization before the Dutch who had been spreading Christianity, and the influence of the Sultanate of Ternate and Tidore that spread Islam in the Moluccas and Arab traders on the coast of Ambon and surrounding islands. Looking from the economic side, especially from Ambon, is coming from their cassava and sago as their main crop which also include breadfruit, sugarcane, coffee, cocoa, pepper and cotton. Nutmeg and cloves were once the dominant export crops, but they are now produced in limited quantities. 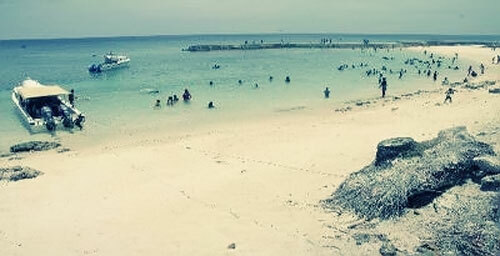 Beaches are the most tourism object after the historical sides that Maluku have for their tourism commodities. There are lots of beautiful beaches over the area of Maluku, all beaches are grounded with white sand and blue sky background.